I have been a user of Clinique skincare for many years, and I have recommended the Moisture Surge Extended Relief to many of my readers/friends who have sensitive skin. It is a very lightweight gel like formula that offers hydration and is oil-free. Another product that I've loved but never committed to buying a full size bottle because of the price ($74cad for 1oz/30ml), is the Clinique Smart Custom-Repair Serum. I keep going back for samples, and when Sephora has these deluxe samples during the 100 point redemption, I always get 2-3. This serum is smart enough to customize to your own specific skin type and addresses the concerns you have. It helps to diminish lines/wrinkles, firms the skin, evens the skin tone and reduces dark spots while improving the overall look and feel/texture of your skin. I had recommended this to a girlfriend, and she loved it so much she bought it. I have also tried a few Clinique makeup products like the Cheek Pops, Chubby Sticks (but I am going to focus this post specifically on skincare). This summer (July 2016) to be specific, Clinique is releasing the NEW City Block Purifying Charcoal franchise that will be available exclusively at Shoppers Drug Mart Boutiques across Canada. I was lucky enough to be sent the items from the collection to try and I will be giving you a detailed review below. Pollution, traffic exhaust, smoke, and other environmental toxins can put stress on your skin and cause clogged pores - as a result, it can lead to your skin showing early signs of damage and aging. The City Block Purifying Charcoal Clay Mask + Scrub is a five minute treatment that safely detoxifies your skin, ridding your face from the day's wear and tear. This charcoal clay mask and scrub works quickly to remove toxins and dirt while also removing excess oil and reducing the appearance of large pores minimized over time. - Natural Bamboo Charcoal: This natural ingredient attracts pollutants and other impurities out of your skin like a magnet, trapping them so they can be easily rinsed off the face. - Kaolin: This natural clay absorbs excess sebum, helping to make skin appear smooth and matte. - Laminaria Saccharina Extract: This brown algae extract helps minimize excess sebum production, resulting in less surface oil over time. - Silica Beads: Natural, environmentally safe beads that provide exfoliation. - Gentiana Lutea (Gentian) Root Extract: An extract native to the mountains of central and southern Europe that protects skin, especially lipids from oxidative damage while also providing anti-inflammatory benefits. - Acetyl Glucosamine: An amino sugar that promotes and regulates cell turnover. Apply the mask generously on your freshly cleansed and dried face (avoid the eye area). Leave on your face for 5 minutes, or until the mask turns light blue. Massage all over with your fingers, gently with warm water to activate its exfoliating properties and rinse off and towel dry. Follow up with the rest of your skincare routine. For best results, use 1-2 times a week. NEW City Block Purifying Charcoal Clay Mask + Scrub is available exclusively at Shoppers Drug Mart Beauty Boutique locations nationwide and at www.clinique.ca beginning July 2016 for a suggested retail price of $34.00 Allergy Tested. 100% Fragrance Free. · - Glycerin: A humectant ingredient that draws moisture from the environment and binds it to skin’s surface, and helps to provide a non-drying cleansing experience for skin. - Caffeine: An anti-irritant that helps keep skin calm and soothed while cleansing. Lather with water and massage over the face, avoiding the eye area, then rinse with warm water. 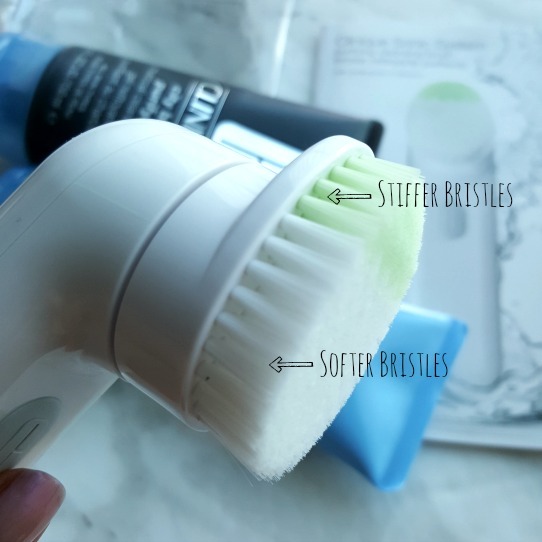 It can be used with the Clinique Sonic System City Block Purifying Cleansing Brush with Charcoal infused bristles (or their regular ones), or can be used alone. Use twice daily. NEW City Block Purifying Charcoal Cleansing Gel is available exclusively at Shoppers Drug Mart Beauty Boutique locations nationwide and at www.clinique.ca beginning July 2016 for a suggested retail price of $27.00. 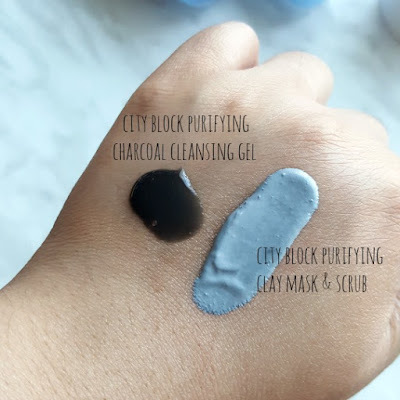 City Block Purifying Charcoal Clay Mask + Scrub - silly me, read instructions! The first time I used this, I thought it was just a scrub so I didn't allow for the product to dry. While it was great then, I didn't see what was good about it. HOWEVER, when I actually READ the instructions and used as instructed I loved it! I had been using a charcoal mask from another brand for a while, and while that was good - I like how this one actually has exfoliating properties as well - multitasking at its best. Around the nose area, I saw the oil extracted from my black heads and when I went to massage the product in afterwards, it gave me the deep cleaning I liked. I will be repurchasing this product. City Block Purifying Charcoal Cleansing Gel - this product was good, it was gentle and cleansed effectively. My skin didn't feel stripped or dried out - however the price tag is a bit steep so I would most likely try out other products first. Lastly, while there is a Sonic System City Block Purifying Cleansing Brush, I was sent the Clinique Sonic System Purifying Cleansing Brush to try out. This is the original brush that is currently in stores, if I am correct I think that the City Block one has a different brush head (a Natural Bamboo Charcoal infused one). 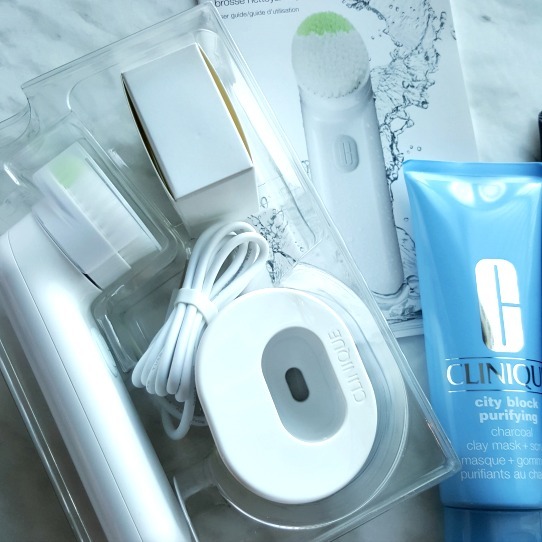 This electronic cleansing brush is waterproof and is dermatologist-developed and swiss-engineered. The brush head has two different brush textures - the green part is stiffer and the white part is softer. This allows for customization for you to personalize how you want to cleanse your face. For e.g. I use the stiffer area for my black heads and the softer bristles for areas near my undereye and cheeks. This cleansing device allows for deeper cleansing, gently lifting clogged pores which washing with your hands can't do. 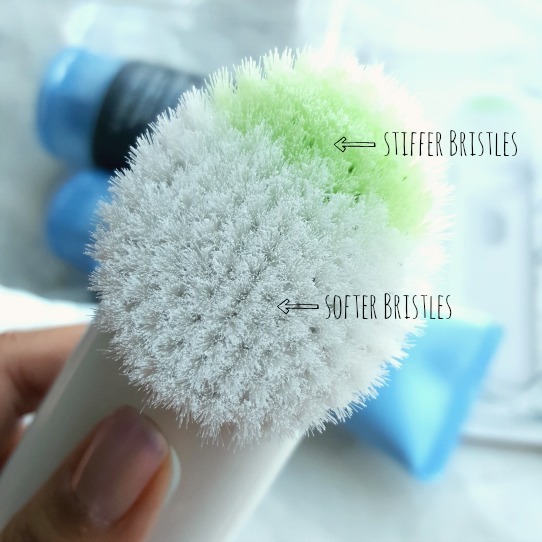 I highly encourage you to buy this product as it is cheaper than the competing electronic cleansing brushes in the market yet it does the job equally well. It is a good product to invest in, especially if you are prone to breakouts as it can thoroughly clean out your clogged and trapped pores. I am honestly so happy to have received this products and will continue to be a fan of Clinique - both in skincare and in cosmetics :) What have been some of your favorite Clinique products or what are you looking to try out?